The exact recipe has varied over the years so I’m updating this post to reflect what we do now. This continues to be one of our favorite go-to recipes in the spring and summer. 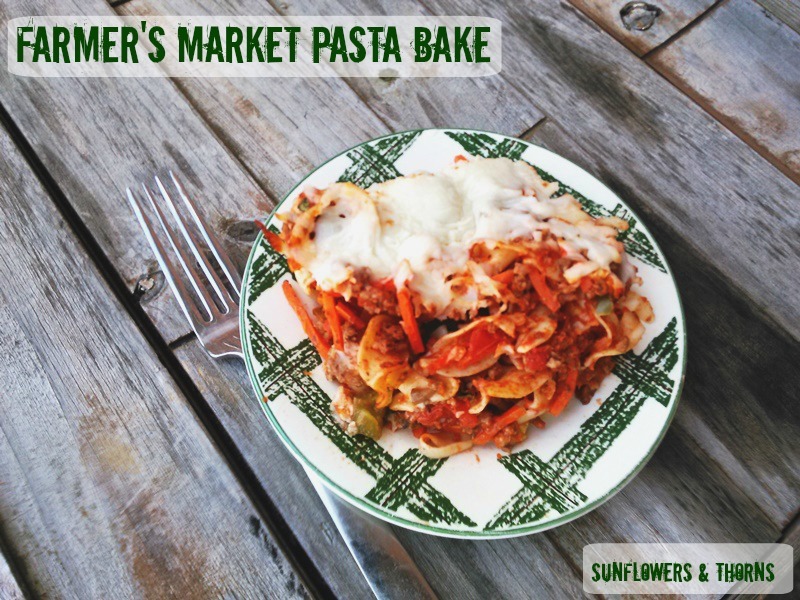 I called it Farmer’s Market Pasta Bake because you can get most of these ingredients at your local market. Have you made this yet? Let me know what you think! While the hamburger is cooking, start the pasta. If you use the ribbon pasta, be aware that it’s thin so it cooks about twice as fast as most pastas! 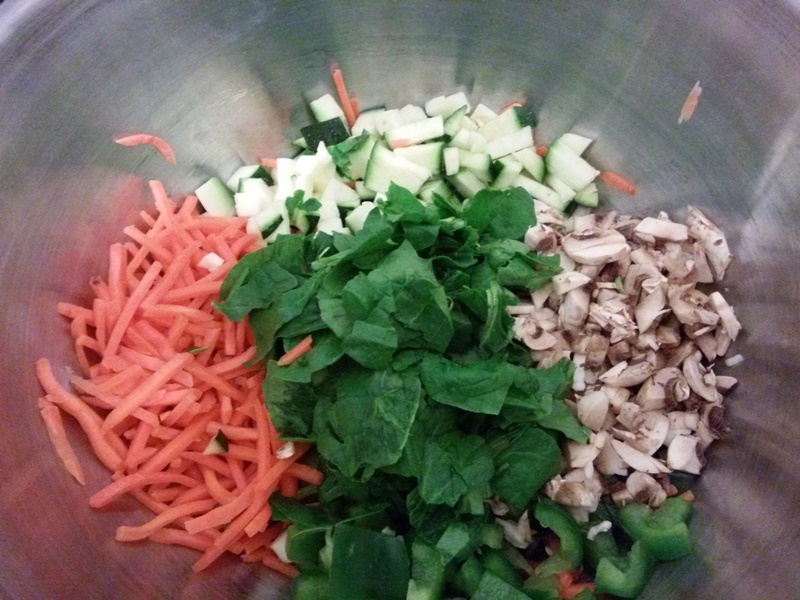 If you have time during the hamburger and pasta cooking on the stove, start chopping the veggies. If that makes you nervous to leave something on the stove, chop the veggies before you start or after the stovetop items are done. 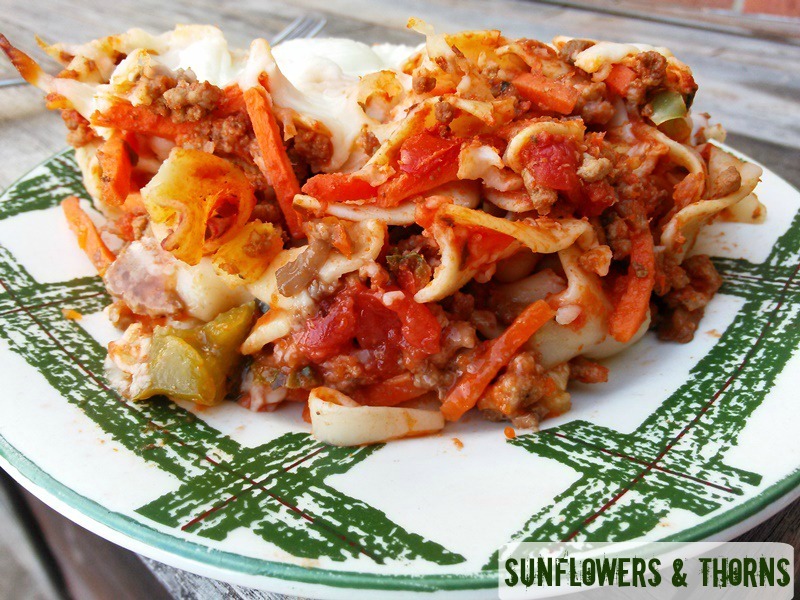 In a large mixing bowl, mix all the meat, veggies, pasta, spaghetti sauce and two cups of the cheese. Bake for 20-25 minutes, until the cheese is melted and the casserole bubbles a little bit at the bottom. I love mozzarella cheese the most! I really need to try this one too. You have good ideas!